Chinese New Year is also their Spring Festival or Harvest Festival and is considered the greatest occasion of festivity. No wonder there is nothing subtle or mellow about Chinese New Year parties! Right from grand feasting to bright red clothing, from lantern festival to parades, from dragon dance to firecrackers – you have it all in a Chinese New Year party! Most Chinese New Year parties will be themed on red with black, cream and gold being the accent colors. Red is considered to bring in good luck. If you are hosting or attending such a party dressing in red silk and satin will get you tuned to the theme right away. Stay away from white as it is considered to represent misfortune. The one object that is a must for party décor is Lantern. In fact, make it lots of lanterns. Handmade paper ones glowing with light welcomes the positive energy. Feasting is a huge part of these parties – some food items being considered lucky, and opulence a hope for prosperity. 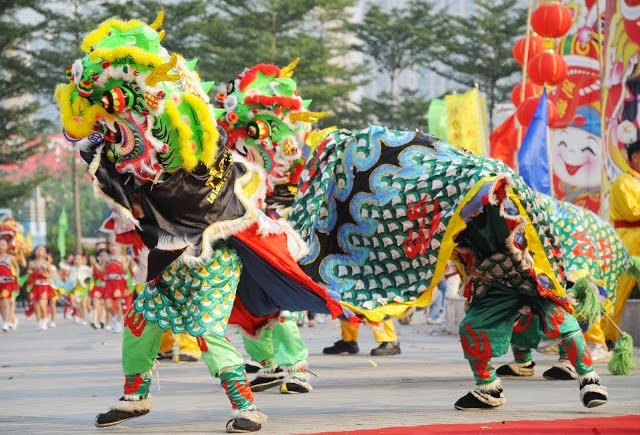 Traditional Chinese celebration would not be complete without Dragon Dance or Lion Dance and fire-crackers. The graceful movements of the dance signify easy transition from one year to the other, while the light and noise from the fire crackers drive away the evil spirits! Voila! Now you are ready to say “Xin Nian Kuai Le” (Happy New Year) in style!